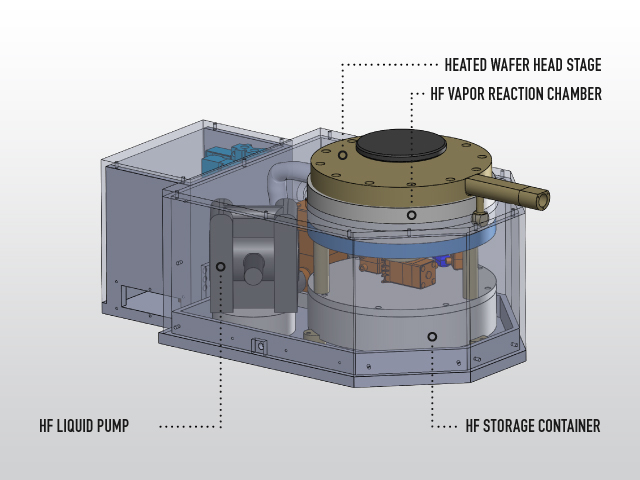 The HFVE system consists of a reaction cell, a heated wafer holder, and an HF handling system with an HF storage container, in addition to an electronic control unit. The wafer temperature, modus of operation and process duration are set at the control unit. 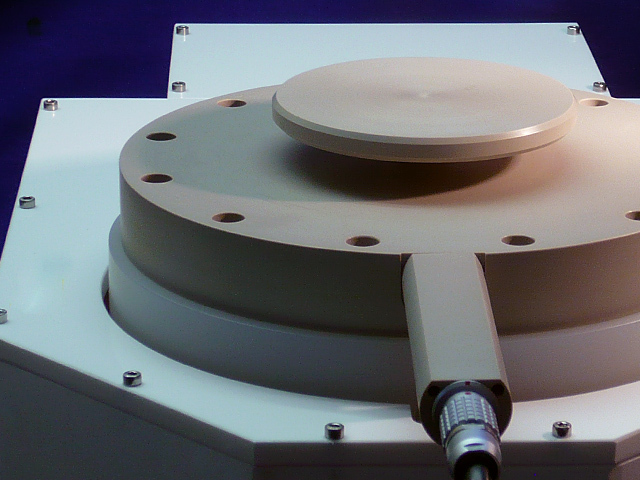 First the wafer has to be mounted in the wafer holder and placed onto the reaction cell. Once the wafer's temperature has reached the set point, the system automatically pumps HF from the storage container into the reaction cell. After the preset process duration is over, the HF is automatically drained back into the storage container and the reaction cell is flushed out with nitrogen, which ensures excellent process reproducibility. 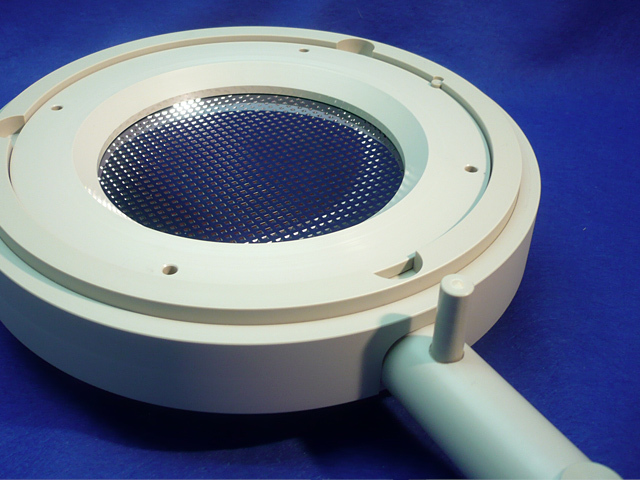 The wafer can now be removed safely, because the reaction cell is free of HF vapor. 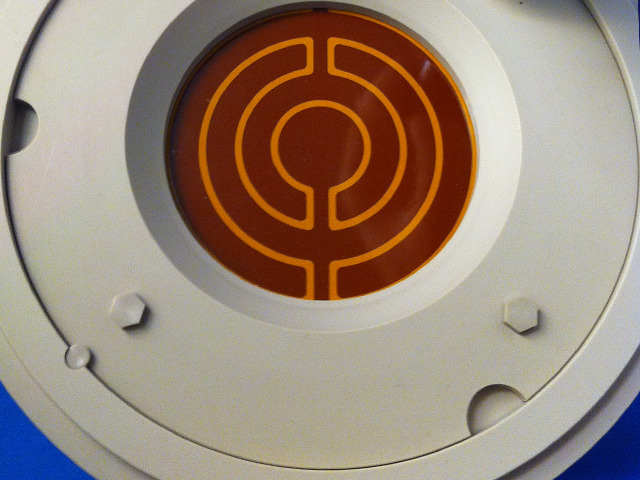 The HF can be used for multiple etching cycles. Safety is an important issue when working with HF. AMMT's engineers have designed this easy-to-use etching system with a maximum of security including a safety receptacle around the etcher . The regular operator is not involved with any HF etchant handling. Available Options. 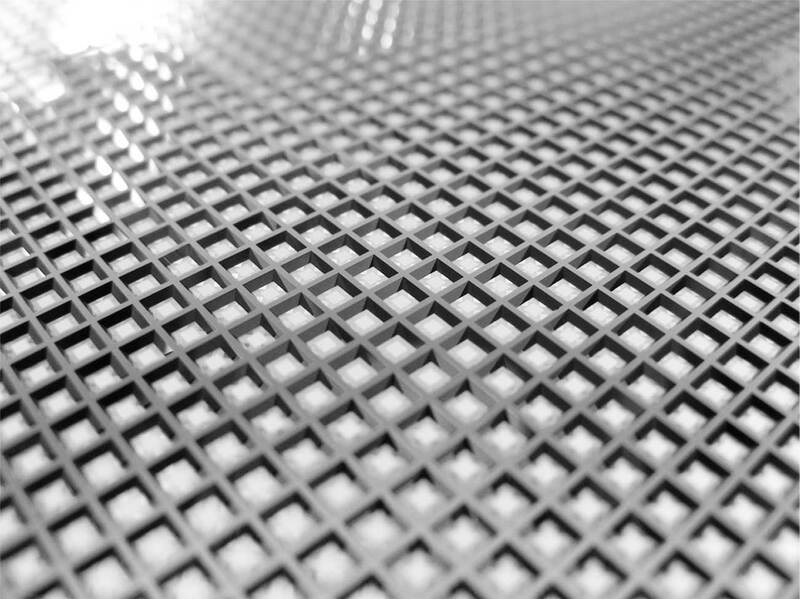 Additional accessories, like HF-resistant nets for dicing-free release, are available for customer-specific applications.